As former Brittain Fellow Kate Holterhoff has detailed in this post on her move from teaching to software development (and as my own career path demonstrates) the tech world has a certain draw for many humanities academics. While the state of the academic job market in English has encouraged many of us to explore new fields, tech seems to be a venue in which our training and expertise position us for potential career paths that are both interesting and sustainable. In order to better understand some of the paths that my humanities colleagues are taking to tech fields, I recently sat down with Dori Coblentz, who will be making her own tech-related career move this coming fall when she shifts from teaching first year composition (FYC) to teaching technical communication in Georgia Tech’s Computer Science Junior Design course sequence. Dori is currently a second-year Brittain Fellow (and current chair of the WCP Grant Writing Committee) with a Ph.D. in English from Emory University. 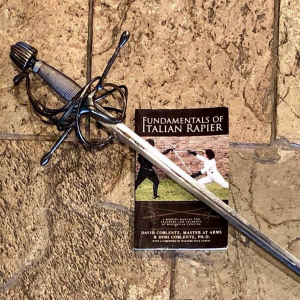 Her research is on early modern English drama and pedagogy; she also holds a Provost at Arms certification in foil, epee, and saber fencing, with a historical concentration in Italian rapier. DC: Yes! 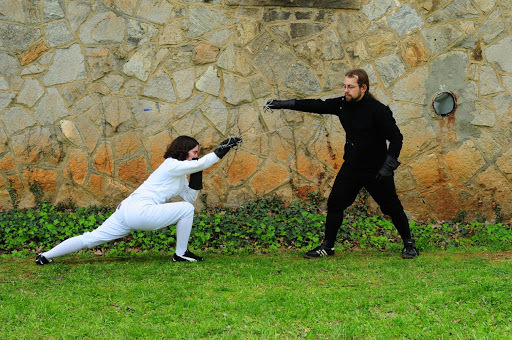 Fencing really makes you pay attention to the tempo of interpersonal interactions. This translates to meetings, to the classrooms, and to all sorts of other rhetorical situations. 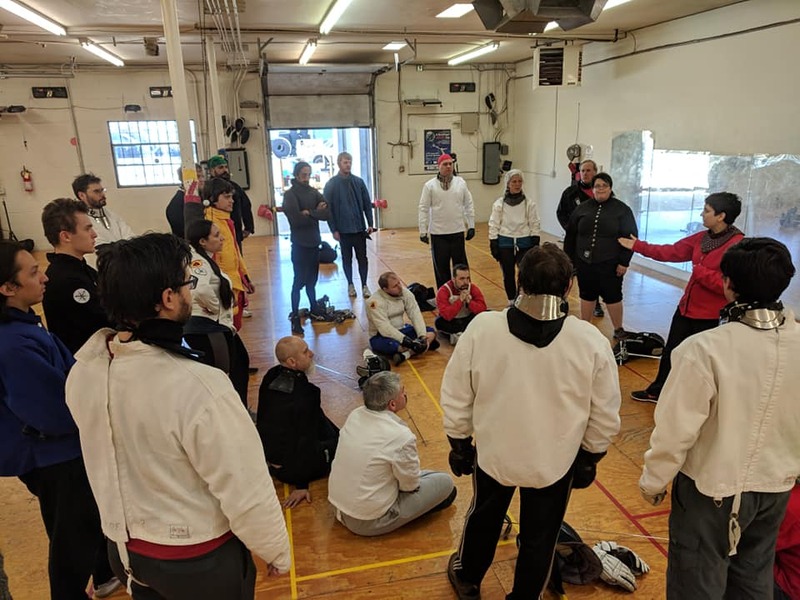 Pedagogically speaking, students need many of the same things in a fencing lesson as they do in a literature or composition class: a chance to warm up and transition into class, time doing technical skill-building drills, and time in freeplay, or bouting. This final element really tests the efficacy of whatever else you are doing because it gives you a situation that is closest to “the strip,” or competition. I see what we do with project-based learning in the CS Tech Comm sequence in the same way. Adding an element of controlled chaos with public-facing, external clients gives students the vital opportunity to put the principles they’ve been internalizing throughout their time at Georgia Tech into practice. Note: A version of this article has also been published on KellyAnn’s RedMonk blog. KellyAnn Fitzpatrick is an Affiliated Researcher (and former Brittain Fellow) at Georgia Tech, where she formerly taught Technical Communication courses for Computer Science and Computational Media majors. She is also a full-time analyst at RedMonk, a developer-focused tech industry analyst firm, and has previously worked in the software industry as a QA analyst, test & release manager, and tech writer. To leverage the unique opportunity afforded by her simultaneous affiliations in academia and the tech industry, KellyAnn is authoring a series of articles focusing on the role of technical communication in both spaces. To foster cross-disciplinary and cross-industry access to the series, related articles will be co-published on TECHStyle and on KellyAnn’s RedMonk blog. Tagged Brittain Fellows, fencing, pedagogy, teaching, technical communication.